Game recaps, injury updates, Golden Knights re-sign Alex Tuch, and more in your NHL morning coffee headlines. NHL.COM: After squandering a three-goal lead, the Florida Panthers edged the Washington Capitals 6-5 on a shootout goal by Jonathan Huberdeau, who tallied a goal and two assists in regulation. Lars Eller collected three assists in a losing cause for the Capitals. Following the game, Panthers coach Bob Boughner took exception to Capitals captain Alex Ovechkin leveling defenseman Mark Pysyk with a high hit in the second period. No penalty was called on Ovechkin as Pysyk left the game with an upper-body injury. SPECTOR’S NOTE: No word this morning if the league will review the incident. The Nashville Predators doused the Calgary Flames 5-3 but lost goaltender Pekka Rinne to an apparent upper-body injury in the third period following a collision with teammate Kevin Fiala. Predators coach Peter Laviolette provided no update on Rinne but said it wasn’t the team’s decision to take the goalie out of the game, leaving open the possibility that it was due to the league’s concussion protocol. SPECTOR’S NOTE: An update on Rinne could be announced later today. Third-period goals by Matt Dumba, Ryan Suter and Zach Parise carried the Minnesota Wild to a 3-1 victory over the Dallas Stars. Wild goaltender Devan Dubnyk made 33 saves for the win. ORANGE COUNTY REGISTER: Anaheim Ducks center Ryan Getzlaf (groin injury) could return to action tonight against the Vegas Golden Knights. LAS VEGAS SUN: Speaking of the Golden Knights, they signed winger Alex Tuch to a seven-year, $33.25-million contract extension. It’s the longest deal in the club’s short history. The annual average value is $4.75 million. SPECTOR’S NOTE: Tuch, 22, is an NHL sophomore in the final season of his entry-level contract. He’s currently sidelined week-to-week with a lower-body injury but rose to prominence during the 2018 playoffs, following up a respectable 37-point rookie season with a six-goal, 10-point performance in 20 postseason games. The 6-foot-4, 222-pound Tuch can play either wing and has considerable offensive upside. If he reaches his full potential this contract could be considered an affordable long-term investment by the Golden Knights. NJ.COM: New Jersey Devils goaltender Cory Schneider is heading to the club’s AHL affiliate for a conditioning stint. This move is another step in Schneider’s return from off-season hip surgery. THE PROVINCE: Vancouver Canucks rookie Elias Pettersson may have suffered more than a concussion from the hit he received last Saturday by Florida Panthers defenseman Mike Matheson. Dr. Stefan Sigalet, “a founding practitioner of the Burnaby-based Catalyst Kinetics Group and consulting chiropractor for players in the NHL”, as well as other sports, viewed a video of the incident and believes Pettersson may have also suffered whiplash and a shoulder injury. SPECTOR’S NOTE: So far, the Canucks have Pettersson listed on injured reserve with a head injury. No word thus far if he’s suffered other injuries. MONTREAL GAZETTE: Canadiens center Tomas Plekanec will be out at least two weeks with a back injury. For now, he’s listed as day-to-day. ARIZONA SPORTS: Coyotes forward Christian Dvorak will be sidelined indefinitely following surgery to repair a torn pectoral muscle. SPORTSNET: The Edmonton Oilers placed defenseman Matt Benning on IR with an undisclosed injury. Former NHL forward Jordin Tootoo has announced his retirement. Tootoo made history by becoming the first Inuk player to reach the NHL. 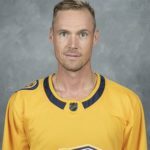 He spent eight of this 13 seasons with the Nashville Predators and also skated with the Detroit Red Wings, New Jersey Devils and Chicago Blackhawks. In 723 regular-season game, Tootoo tallied 65 goals and 96 assists for 161 points and accumulated 1,010 penalty minutes. He also collected 10 points in 43 playoff games. SPECTOR’S NOTE: Best of luck to Tootoo in his future endeavors. Always liked Tootoo (right from world Jr days)…, congrats on retirement. Uhohhh re Petersson …. if true (also whiplash),,, are we talking the same type of injury that Crosby got? You didn’t know that there are TWO RedBlack teams in Ottawa? One played the first half – the other took over in the 2nd. I hear that they’re considering changing the team name to the Ottawa Inconsistents. Last week they lost and the Sens won. Winning this week likely means the Sens lose to the Habs tonight. Ahh well, we still have the 67s off to a great 9-3 in the wacky OHL (repeated 3 games in 3 night throughout the league). VGK have taken a gamble that Tuch will continue in the rise …. IMO fair gamble. If he ends up as a long term 3rd liner …. $4.75 expensive now; prob going rate for 3rd liner at end of his contract. However, if VGK view him as I think they do …. 3rd liner that can pop into 2nd line easily at any time; AND destined for top 6 in year or 2… then $4.75 in 3 years will be a steal. Re WW at 6 …. bridge …. I’m OK with. Remember I’m a Leafs fan so I see that he has potential but also see that his numbers have been somewhat inflated due to playing partners. If he continues at rate …. 8 * $8M in a couple of years is OK. Financially (read Cap) Leafs can’t move forward at $8 M for him now AND keep AM and MM AND have any hopes of improving D.
Tough comparison with Tuch vs Nylander. Nylander has played with higher end players than Tuch to start their careers. Tuch was playing 3rd line minutes. Pengy if he is asking for 8 now he isn’t taking 8 in 2 years, and who you play with shouldn’t effect q contract by your logic is it because of who he played with that made the difference of nearly 100 games experience and 100 points more? Why hasn’t who he played with mattered so much with Brown Hyman or Ennis? All 3 have played with Mathews and their numbers didn’t magically double. There is a reason for that and it had nothing to do with who he played with. Nylanders Numbers are closer to Draisatil than Tuch. He’s closer to 8 than 6 and in 2 years entering his prime playing with the same guy and more who is supposedly “carrying” him isn’t going to make him cheaper after an expansion and another jump in the cap, if there isn’t another work stoppage. Again I understand how good Matthews and Marner are looking thru October hockey but this guy has put up very similar numbers for the past couple years outside 7 games in October… why is no one saying Marner is being carried by Tavares? @Shticky. Half the league would ink Nylander to 8×8 all day-the Leafs are in a different situation as we know. And everyone feels Big Leon was overpaid for his playoff performance. I do agree with Ehlers comparison tho I dobut I also believe that he signed his deal at a much lower cap (cap was only 75 goes to 80 mill not 80 going on 84) projected cap than 84 million but even if you look Ehlers 6 mill today is around 8 % of the cap a year after he signed the deal, the first year of Willy should be around 7 if your point of veiew is that Ehlers is a good compromise which Id agree with. Ehlers is a 7 year deal so if Willy would go 8 the number should be around 8 makes alot more sense than saying Nylander is worth 6 long term. If they don’t want to pay him market rate long term than fine bridge him but all the other nonsense and drama over who he plays with greedy dad kid whatever is all a show being put on by a billion dollar media conglomerate, in a pickle looking for a way out of it. Not sure how it’s even possible to be more greedy than the likes of Bell qnd Rogers when it comes to business and it’s a bit of a joke to think a Swedish kid born in Calgary should be giving a “hometown” discount to 2 of the biggest companies in Toronto… Where’s the kid from Arizona’s hometown discount @ 12 or 13 mill? I bet he’s not signing nothing for under 12 are Leaf fans going to sit here and slam him for not taking 8 or 9? I doubt it so why is Nylander greedy for not taking 2 mill less than the market? AM is top 10 player in the world. WL is top 100? I’m not sure there is 90 guys between Matthews and Nylander again outside 7 games this October what’s the difference? Each team in the league has 2 or 3 sometimes 4 guys better than Nylander? And 2/3s of the league doesn’t have a guy as good as Matthews? I don’t think so not trying to be difficult but that seems like a stretch. The last 2 years Nyalander 122 points, Matthews during that time all be it a handful less games 132 points really think there are 80 or 90 guys between em? One guy has an avg of 61 points the other guy 65 per season and 1 is a top 10 guys in the NHL worth 12 mill and the other has nearly 100 guys ahead of him and should get around 6? Yeah Im not seeing the connection. Can’t have it both ways as George points out. You have valid points re his worth and I do respect your viewpoint. We just disagree on net value of contract as at now. Yes I do see a fair comparison in Ehlers. Ehlers signed his almost exactly one year ago…. using his contract relative to Cap at time and using current Cap for WW … then his (WW) AAV would be $6.4M. Outside of comparisons; a player’s contract value comes down to market value. As at right now; Leafs have the Monopoly on WW’s contract …. so unless he’s traded; his value will be whatever his agent can work out with GMKD; that is, WW’s value is Toronto’s value of him. Leafs cannot afford (big picture, long term cap afford) to pay him 8 as this would not allow for contracts of AM and MM and rest of roster spots , all while at the same time remaining competitive (for example being able to either keep Gardner or sign a comparable)…. and IMO they still need to improve the D.
I’m not knocking WW play. I do like what he can do for the team. To me $8M is waymore than his true value now IMO. $7M is high. If he was in Van to play with Petersson …. and it was Van who had the Monopoly on his contract; then I would think more might be paid than in T.O.